ELTA are a proud licensee of the iconic Lucas Electrical brand and as a result the company has inherited a wealth of knowledge and expertise surrounding classic car electrics. Today ELTA delivers a range of classic components in both Lucas and own brand programmes to offer customers two distinct price points. With over 100 years of Original Equipment and aftermarket experience in the industry, generations of mechanics and drivers trust Lucas. It is the choice of classic car owners throughout the United Kingdom and around the world. 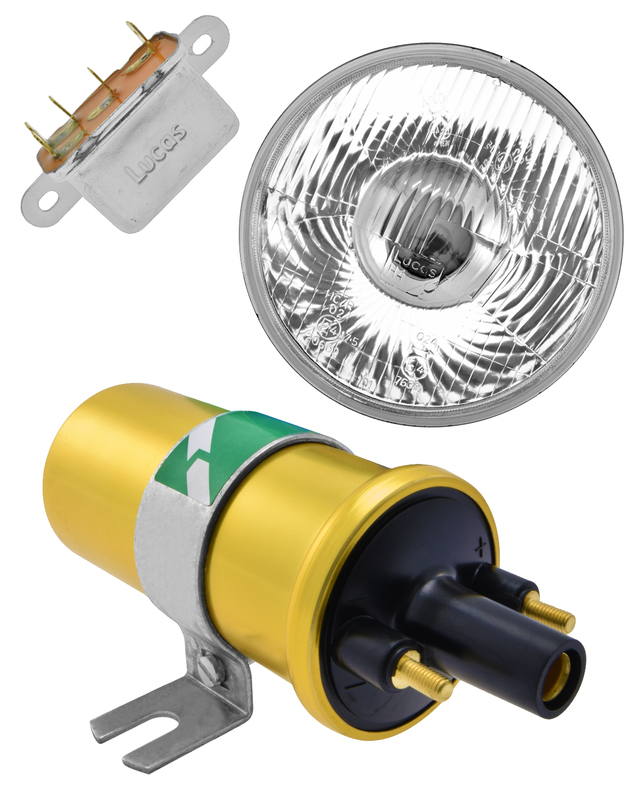 Lucas classic components can be fitted with the confidence that they are manufactured to the highest standards. They are designed to Original Equipment specification and able to withstand the toughest of operating environments. That is why Lucas electrics are the first choice for off-road vehicle specialists and have been fitted to military vehicles throughout the world. Product managers at ELTA continuously develop the impressive classic components range using their extensive expertise and knowledge to reintroduce parts that would otherwise be scarcely supplied to the market or obsolete.